Mother’s Day is only about a month away and I have been trying to figure out what I wanted to get my mom. I have done jewelry and stuff from the girls. This year, I wanted something that I know she needed and could really use. 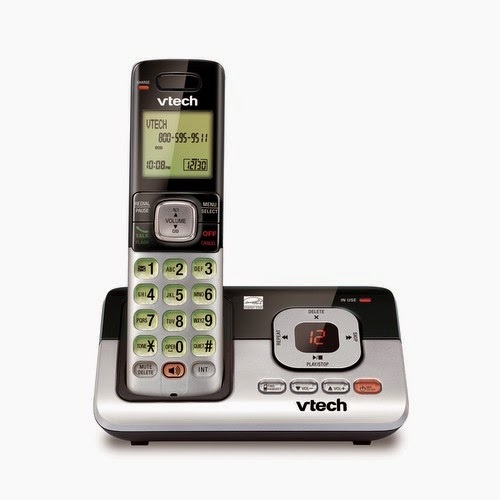 VTech had perfect timing as they asked if I would look at one of their cordless phones. No way I could say no, as I know I’m always on speaker with my mom as her home phone isn’t cordless. This was something she could really use. 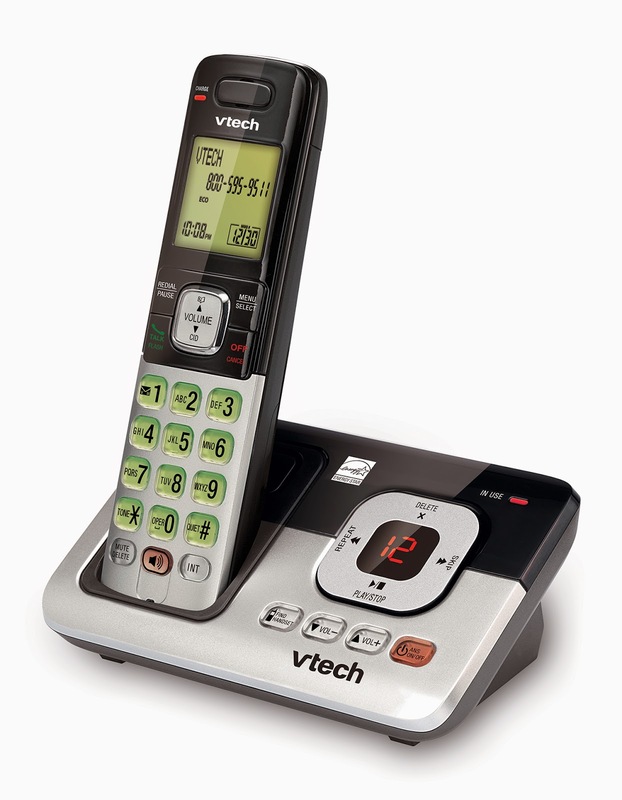 I was sent VTech’s CS6829 Cordless Answering System. love that the base of the phone is small and compact. You still get an answering service on it. So, you don’t have to compromise on that if you land line has an answering machine. Just like most all cordless phones these days it comes with caller ID. One of my favorite features is that you can connect up to 5 handsets to the base. This way, you can have phones all over the house and not worry about not finding the one when the phone rings (I’m sure all of us have been there at some point). 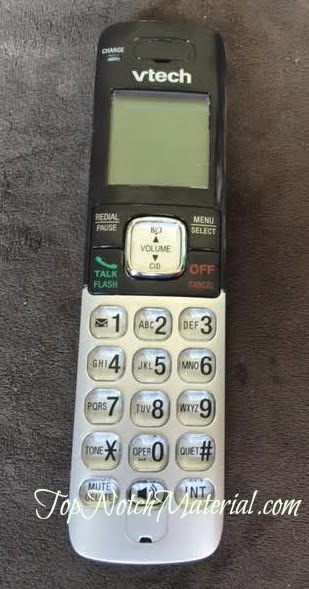 Yes this is more of a basic phone, but most of us use higher technology with our cell phones, so we really don’t need anything too crazy for the land line. Keep in mind that just because it is simple doesn’t mean it doesn’t have great sound. I got just as good sound with this as I have with larger and more expensive models. This unit is exclusively sold at Walmart. You can get this unit for around $20 and for a little less that $15 for each additional handsets. I was really surprised and happy to see that they are very affordable and will fit into most anyone’s budget, especially when buying for gifts. Originally published on 2015-04-11 by Katrina Gehman at Top Notch Material .